There are a gazillion ways to “safari” in Africa: from balloon rides to luxury “glamping” to survivalist walks through the Serengeti with indigenous tribes. The typical safari in Tanzania or Kenya is a 5 to 8 day driving excursion to multiple national reserve parks, camping in tents under the African stars. The average cost is around USD$4,000, which includes local transportation, a crew to setup and take down camp, hot meals prepared by a cook, and an experienced guide. These safaris are incredible and worth every penny to see Africa’s unique game in their natural habitats. For some travelers, though, that’s a pretty big chunk of change and time commitment. Maybe you’re looking for something simpler and cheaper. 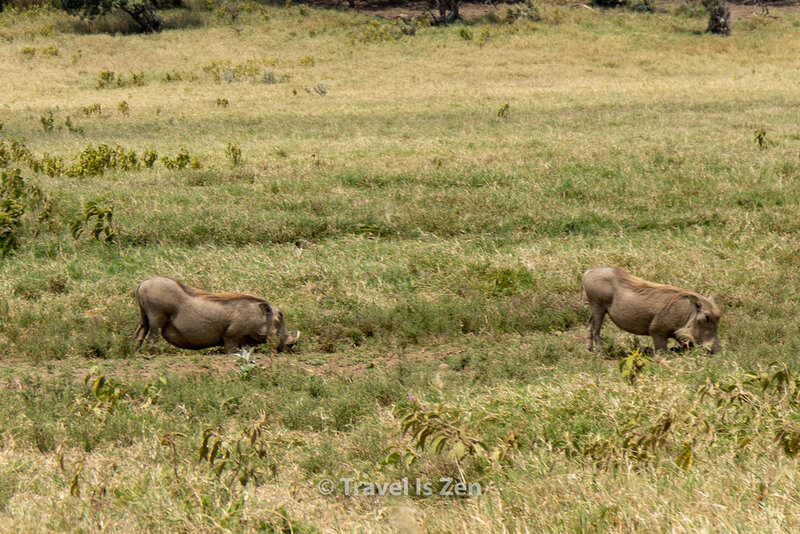 The answer: A day trip from Nairobi to Hell’s Gate National Park. 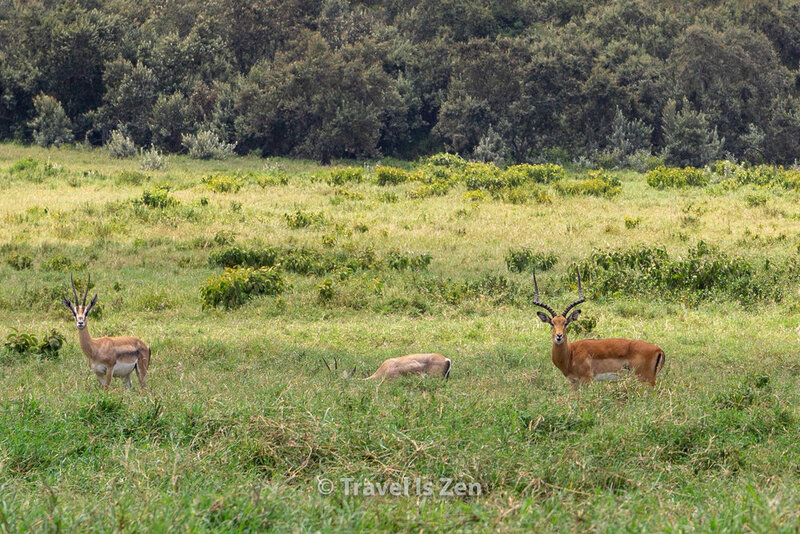 Hell’s Gate National Park, just a two hour drive from Nairobi, is a great alternative to an expensive organized safari tour…especially if you are just in town for business or you are a budget-conscious traveler. We made a day trip to the park for less than USD$180, all inclusive for two people. The dirt roads in Hell’s Gate National Park are well-marked, making it an easy and safe place to explore on your own by car or bicycle. 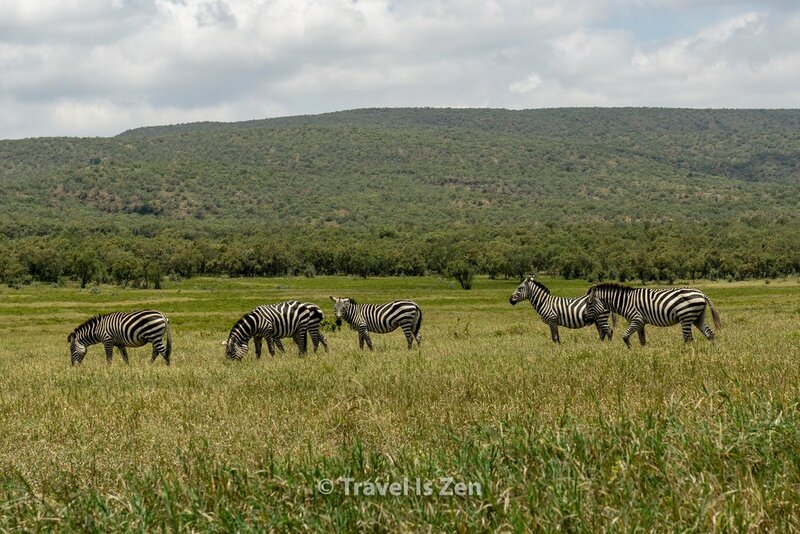 You will see zebras, warthogs, giraffes, Thomson gazelle, elands, hartebeest, African water buffalo and baboons. AND you will see them up close and personal! There are no big cats in Hell’s Gate National Park, which means it’s safe to get out of your vehicle to take photos. The animals are often very close to the road…or crossing the road right in front of you! It’s pretty thrilling! We rented a car in Nairobi, which our AirBnB host arranged for us; we paid USD$50 for the day. We drove to the city of Naivasha, where we purchased breakfast and then a picnic lunch of sandwiches and chips to-go at a local cafe (USD$19). From Naivasha, we drove to Hell’s Gate National Park. The entrance fee to the park is USD$30 per person (in 2018). On our way back to Nairobi, we filled up the gas tank, which was another USD$50. TOTAL: USD$179.00. 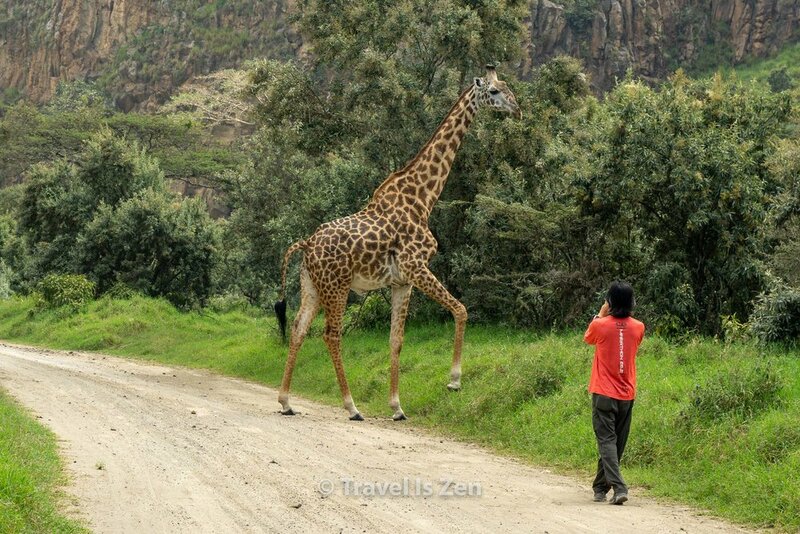 There is really no reason to hire a guide or join an expensive tour group for a day trip from Nairobi. The roads in the park are clearly marked and the animals are visible from the road. TIP: Take the LEFT TURN when you see the first entrance sign for Hell’s Gate National Park entrance. If you keep going straight, you will end up at the opposite side of the park, near the geothermal springs. We had to back-track another 30 minutes on poor, pothole-riddled roads to find the safari entrance. Kenya follows British rules for driving, meaning that they drive on the opposite side of the road than most other countries. The roads between Nairobi and Naivasha are an even mix of modern (but narrow) highway and rough, bumpy single-lane roads, mostly leaving Nairobi and as you enter Naivasha county. Driving in Kenya can be a test of nerves. There’s so much activity happening along the side of the road, it can be a struggle just to focus. Furthermore, oncoming cars in your lane must be expected, as cars swerve to avoid crater-size fractures in the road. Passing etiquette tends to err on the riskier side, as well. It also takes much longer than Google or other maps indicate. If you can handle it, go for it! Or you might try hiring a driver, instead. You might also consider taking a bus from Nairobi to Naivasha and then hiring a taxi to Hell’s Gate park. Boy do we have stories about driving in Kenya! If you are planning to rent a car in Kenya and have questions or concerns, leave us a comment or tag us on social media.